In 1917 J. F. Rutherford and his associates attracted much public attention by denouncing patriotism as being of the devil, as stated in their book, The Finished Mystery (p. 247), which they claimed was Pastor Russell's posthumous work, though it merely contained some quotations from his pen, together with many repudiations of his teachings and substitutions with newly-invented errors instead. According to the publication, Proclaimers of God's Kingdom (p. 67), Clayton Woodworth and George Fisher were appointed to prepare the book, which was a commentary on Revelation, The Song of Solomon and Ezekiel. They say, "In part it was based on what Russell had written about these Bible books, and other comments and explanations were added." This being stated, it is clear that in 1917 it was marketed as Pastor Russell's work, yet it contains no less than 300 direct statements that speak in opposition to his teachings. Certainly the denunciation of patriotism did not come from his pen. Patriotism, or love for native land, is a part of the image of God left in fallen man, and should be recognized by us as such, though it is often overdone by those who actually or professedly love native land more than they love God. Rutherford and his associates sought through fear to whiplash many into accepting The Finished Mystery and many other writings as truth, under threats of excommunication, of manifesting "opposition to the channel" (meaning, of course, themselves as the Lord's true and only channel of truth), of going into outer darkness, of being cut off from the Lord's favor, of being members of "the Judas class," of being destroyed in Armageddon, etc. This use of fear, which has been and still is being practiced by the J.W. 's in seeking to win and hold adherents, stands in bold contrast to Pastor Russell's method of appealing to all on the basis of God's Word and His love. Because of their denunciation of patriotism and other similar errors, Rutherford and seven associates were in 1918 sentenced to a term in federal prison, and their book, The Finished Mystery was banned by the U.S. Government. Their course of radicalism has continued since; the J.W. 's later even refusing to salute the U.S. flag of the Country under which they were receiving many blessings. As a result, they have invited for themselves much disfavor and persecution, which they claim as "suffering for righteousness' sake." They claimed that Matt. 24:9-12 was fulfilled in their persecution, when it really foretells the history of the true Church during the past centuries of the Gospel Age. (1) The flag is not a graven image. It is not an image of a god, nor is it an image even of the nation, which, of course, is not a god. The flag is the standard of the nation. (2) The Second Commandment does not forbid the proper respect that should be given to such a standard. The Israelites had, by Divine order, standards and ensigns about their camp, as we read in Num. 2:2, 3, 10, 17, 18, 25, 34. If they were graven images, God would never have had or sanctioned Israel's having standards and ensigns—flags; for He forbade graven images and their worship. One's country deserves respect and honor, both as a Divine ordinance and for the good it bestows; and we should regard the saluting of the flag, especially when required by law or custom, as a thing that God's consecrated people may properly do as a mark of respect for a Divine ordinance and for the good conferred upon them by their government. (3) Nor is the saluting of a flag to be considered as worshiping or as a religious service. Similarly, a private in an army salutes his officers and they receive and exchange salutes without any thought of worship accompanying such salutes. Only if a flag were a religious symbol, and if that symbol would represent a false religion, would it be wrong to salute it. We pity the J.W. 's for the consequent sufferings that they bring upon themselves through such error-based fanaticism. Thereby they are not suffering for righteousness, but for error that is deservedly unpopular. And furthermore, the suffering and persecution they bring upon their children for submitting them to this situation in the public schools is even more pitiful. In light of this particular stand, it is interesting that the J.W. organization has long held, since 1945, when the charter for the United Nations went into effect, that the United Nations is the beast of Revelation. Before this, beginning back in 1920, they held the same for the League of Nations, predecessor to the United Nations. The society made it their doctrinal stance just before the treaty was confirmed in October of that year, and in the Watch Tower, July 1920 announced that "it was the work that Jesus had foretold in Matthew 24:14" — Proclaimers of God's Kingdom, p. 192. In 1942, "Jehovah's Witnesses had already discerned from the Bible, at Revelation 17:8, that the world peace organization would rise again, also that it would fail to bring lasting peace." They observed "Catholic, Protestant, and Jewish leaders actually shared in the deliberations in San Francisco in 1945 during which the UN Charter was drafted. To observers of these developments, it was plain who wanted to be 'a friend of the world' and who was endeavoring to be 'no part of the world,' as Jesus had said would be true of His disciples." These Church organizations had representatives (and still do) present at these meetings, which are called Non-Governmental Organizations (NGO), and are able to listen and even participate in the sessions. The J.W. organization cites this activity as proof of their being associated with the wild beast of Revelation and therefore unworthy of Jehovah's approval. The J.W. organization submitted their application (though unbeknown to their membership) to the U.N. seeking NGO status. On October 8, 2001, an article by British newspaper Guardian reported the Watch Tower Bible & Tract Society had a secret association with the United Nations, explaining the NGO membership. An outcry came up from amongst their membership, many leaving; while others approached the headquarters demanding answers. Many have been disfellowshiped for taking such a stance. The Governing Body's claim was that they acquired NGO status in order to have access to the U.N. library. It is unlikely that all that they were guilty of was desiring a library card, especially since it has been revealed that there was never any stipulation preventing Non-Profit organizations from using the library and its research materials or from joining as NGO's until just after September 11, 2001 and the World Trade Center incident, which raised security risks and therefore required new security measures. By this date the WTB&TS had been an NGO member for 10 years. They mysteriously withdrew their membership on October 9. Once again, the leaders of the Society have violated their own ordinance. This is another instance of changing the original teaching of the Watch Tower after Pastor Russell's death; he formerly considered the beast to be the Papal system as did Martin Luther, William Miller and others. The J.W. organization's claim is that any nation that affiliates with the U.N. shows itself to be in opposition to Jehovah's true government. This is one of their reasons for rejecting natural Israel as the one spoken of in prophecy, for the new-found State of Israel joined the U.N. in 1949; manifesting, according to the J.W. 's, "its trust was not in Jehovah but in the political nations of the world" — Proclaimers of God's Kingdom, p. 141. Why the ruckus? Because the J.W. organization has taught (Watchtower, Sept. 1981, p. 23) that if one of their membership "chooses to join forces with those of whom Jehovah disapproves, it would be fitting for the congregation to acknowledge by a brief announcement that he had disassociated himself and is no longer one of Jehovah's Witnesses." They have described the U.N. as "the disgusting thing (abomination that maketh desolate) responsible for identifying people as God's enemies by indicating them with the mark of the wild beast,  marking them for death at Armageddon." The J.W. organization's leaders affiliating their group with the NGO reminds one of the proverb "Do as I say—not as I do." The 71st article of the U.N. Charter recognizes NGO's legally and formally as partners within the U.N. system. Those groups seeking this status must reapply each year and submit proof to the U.N. that it is using its influence to disseminate U.N. propaganda in its sphere of influence. The J.W. 's are very intent on establishing the shape of the instrument of execution on which Jesus died—claiming that it was not a cross consisting of an upright and cross member, but rather that it was merely an upright post or stake (Watchtower November 1, 1950 — which is confirmed as still their belief on their current website); thus they over-emphasize non-essentials, while as we have already seen, they limit and minimize the weightier matters, such as the lengths, breadths, depths and heights of God's love, as manifested in the true Gospel message of Jesus and His sacrificial death, "a ransom for ALL" (including Adam and the entire race and not just "Jehovah's Witnesses"—1 Tim. 2:6; Heb. 2:9). The only Greek word in the Bible from which the English word cross (Latin, crux) is translated is stauros, which word was often, though not exclusively (as the J.W. 's would like to have us believe), used for the most primitive instrument of execution, the upright stake (crux simplex) to which the victim was bound when no tree was at hand, or on which he was impaled. This Greek word stauros was also used to indicate the fabricated cross (the crux composita) of various shapes, chiefly three: (1) the crux immissa, the form usually seen in pictures, in which the upright beam projected above the shorter crosspiece; this is most likely the type of cross on which the Savior died, as may, among other reasons, be inferred from the inscription which was nailed above His head (Matt. 27:37; Mark 15:26; Luke 23:38; John 19:19); (2) the crux commissa, or St. Anthony's cross (so called from being embroidered on his cope), a three-armed cross in the shape of the letter T; and (3) the crux decussata, commonly known as St. Andrew's cross, in the shape of the letter X. More puzzling is why they think all this change is necessary? Why not leave the words crucify and cross, in the Bible and let the reader think crux simplex or crux composita, as he prefers. Since God's Word does not directly state whether the "stauros" on which Jesus died was a stake or the accepted cross with the projecting headpiece above the crosspiece, which would be most suitable for the inscriptions in three languages placed above Jesus' head—Luke 23:38—or whether it was some other form, it is not a matter of doctrine; hence it is not in harmony with the spirit of a sound mind (2 Tim. 1:7) for any of the Lord's people to over-emphasize, or to be dogmatic on the subject. The J.W. 's booklet, "What Does God Require of Us?" (1996), contains the following paragraph on the subject of transfusions (p. 24): "Is it wrong to accept a blood transfusion? Remember Jehovah requires that we abstain from blood. This means that we must not take into our bodies in any way at all other people's blood or EVEN OUR OWN BLOOD THAT HAS BEEN STORED. (Acts 21:25) So true Christians will not accept a blood transfusion. They will accept other kinds of medical treatment, such as transfusion of non-blood products. They want to live, but they will not try to save their life by breaking God's laws.—Matthew 16:25." This is a fairly liberal interpretation of the Acts passage cited: "As touching the Gentiles which believe, we have written and concluded that they observe no such thing, save only that they keep themselves from things offered to idols, and from blood, and from strangled, and from fornication." The Apostle is here discussing the thought that Gentile converts were not under the demands of the Jewish Law. Because he was a Jew, the Apostle had the right to purify himself (as he obviously did, v. 26) if he came into contact with blood or partook of meat that had been offered to idols. He did so not because he trusted in that service as a condition of his salvation, but as a concession to his Jewish brethren who had not as yet been enlightened on the subject. But for the Gentiles, they were under no such command. The argument starts in v. 19 and this 25th verse shows that "they observe no such thing" for they are not under the Law. For the Gentiles to attempt the practice of the Jewish Law ceremonies and rites would imply that they were trusting in those symbols for their salvation, and not relying wholly upon the merit of Christ's sacrifice. The J.W. 's also commonly refer to Gen. 9:4 where Noah is told, "But the flesh with the life thereof, which is the blood thereof, shall ye not eat." (Their New World Translation reads, "… flesh with its soul—its blood—you must not eat.") It seems they again have taken great liberty to read into the text things that are just not there. The blood spoken of is that of lower animals, which of course would have nothing to do with transfusions. We can find agreement on the incentive not to drink or eat blood, or eat meat raw, but taking human blood, whether one's own or another's, for medical purposes is stretching the point of this Scripture. The J.W. organization has used to "prove" this point Lev. 17:10-14; 7:26-27; Deut. 12:15, 16, 23, 27; and 1 Samuel 14:32-34—but in each case they clearly refer only to the blood of lower animals. They do "claim" however, that 1 Chron. 11:17-19 is a proof that human blood is included. This is the occasion when three of David's men risked their lives to get him a drink of water, and he could not drink it in light of the danger they had placed themselves in to obtain it, stating, "my God forbid it me that I should do this thing: shall I drink the blood of these men that have put their lives in jeopardy?" (v. 19). It is evident that there is no connection between this passage and those listed above regarding drinking animal blood, and also that David here is speaking not of ingesting real human blood at all, but using a figure of speech. He so appreciated the efforts of these faithful and loving men, and would not take advantage of them for his own advantage, and thus poured out the water as a drink offering to the Lord on their behalf, thus, symbolically speaking, he refused to drink their blood. One of the passages quoted above (Lev. 17:10-14) states, "For the life of the flesh is in the blood: and I have given it to you upon the altar to make an atonement for your souls: for it is the blood that maketh an atonement for the soul." One of the main reasons for Jehovah's prohibition against eating the blood of those lower animals is that it had been reserved for typical sacrifices to make typical atonement, for "without the shedding of blood is no remission" (Heb. 9:22). Paul tells us that the "Law was a shadow of better things to come" (Heb. 10:1). He goes on to state, "for it is not possible that the blood of bulls and goats could take away sins" (Heb. 10:4). Then speaking of Jesus he continues, "Lo, I come to do Your will, O God. He takes away the first [the type] that He may establish the second [the antitype], by the which will we are sanctified through the offering of the body of Jesus Christ once for all" (Heb. 10:9, 10). So the Apostle's point is clearly understood, that the blood, whether in the symbol of a type or in the actuality of what that type pointed to, was precious in the sight of God. Since we have no Scriptures that directly treat of the matter, we look next to the application of the principles laid down in God's Word for some indication in answer to the question. 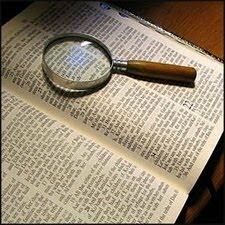 We find that when God's Word tells us (Lev. 17:14) that "the life of all flesh is the blood thereof," He indicates that the blood's chief function is to impart life-principle to every part of the body and to keep it there, for the life-laden blood is the vehicle of the life-principle, which in vs. 11 and 14 as well as in Deut. 12:23 is called "the life" (see our book CREATION, pp. 497, top; 525, bottom). If, therefore, someone's life is ebbing low and a suitable donor offers some of his blood to revive such a one, we should expect and do find that the dying process being thus retarded and life being prolonged is not an unreasonable thing. We note that the best that a blood transfusion can procure for us is merely to prolong the life span of an otherwise dying human, lingering under the curse. It bears no similarity to Jesus' sacrifice, for only His blood, the merit of His human life laid down as a purchase price for Adam and his race, gives life everlasting (1 Cor. 15:21, 22). For a consecrated child of God to give some of his or her blood, on behalf of one in need is surely no sin; even as it is not a sin if one were to lose some blood in the process of defending another from attack. Consecrated Christians should remember that they have devoted their lives unto God; and while they are to do good to all men as they have opportunity, it is to be especially unto the household of faith (Gal. 6:10). Furthermore, "we ought to lay down our lives for the brethren"—particularly in building up one another in the most holy faith (1 John 3:16; send for Pastor Russell's book THE NEW CREATION p. 137). "If any provide not for his own, and especially for those of his own house, he hath denied the faith, and is worse than an infidel" (1 Tim. 5:8). Therefore, if a member of one's own family, or a near relative, or one of the brethren, or a close friend, is really in need of additional blood, to keep them alive, we see no Scriptural reason why a consecrated child of God may not donate some blood for that purpose. If an individual is not comfortable with the thought of giving their blood for the advantage of another, that is understandable, but it is quite another thing for the J.W. 's directive that the Lord's people must keep themselves clean from such a practice, claiming that this is the teaching of the Holy Scriptures, which is a misleading statement. The Romanians (along with some Russians, Ukrainians, etc.) withdrew from the fellowship and stand on their own today as the "True Jehovah's Witnesses" numbering in the tens of thousands. They now stand as grouped with the transgressors, yet they are only guilty of holding fast to the very (at one time acceptable) faith of the predecessors. The self-exalting spirit of this movement is much akin to the Pharisee who boasted to his God, "I thank thee that I am not as other men are; extortioners, unjust, adulterers, or even as this publican" (Luke 18:11), and yet all the poor publican could utter was, "God be merciful to me a sinner" (v. 13). Surely, "Better it is to be of an humble spirit with the lowly, than to divide the spoil with the proud" (Prov. 16:19).